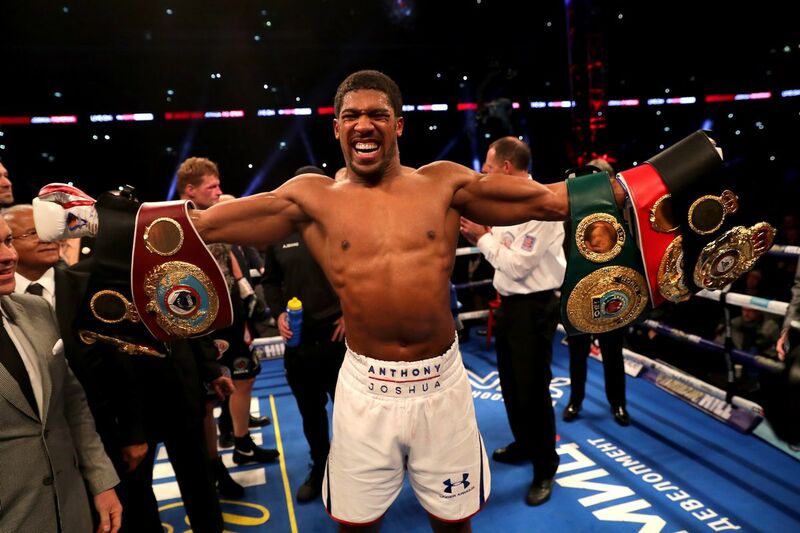 Three-belt heavyweight world titleholder Anthony Joshua and top contender Jarrell Miller will meet on June 1 at Madison Square Garden, sources told FightNights.com on Friday. The Ring Magazine's Mike Coppinger was first to report the story. The fight, which will stream on DAZN in the United States, is not yet finalized. However, an official announcement could come as soon as next week. The fight would mark the U.S. debut for Joshua (22-0, 21 KO's), 29, who has never boxed outside his native United Kingdom. Joshua, the 2012 Olympic super heavyweight gold medalist, is a man who needs no introduction. He regularly draws sold-out crowds, including a British-record 90,000 at Wembley Stadium in London for his electrifying 11th-round knockout of all-time great Wladimir Klitschko in the 2017 fight of the year. Joshua will make his seventh title defense against New York's Miller (23-0-1, 20 KO's). The 30-year-old has won 11 of his last 12 bouts by knockout, including a fourth-round KO of Bogdan Dinu in November. Joshua is also coming off a knockout win himself, though, a much more significant one. He scored a seventh-round knockout of longtime contender Alexander Povetkin last September, a bout that Joshua was arguably losing before a crushing right hand changed the tale. It was widely believed that Joshua was going to take on British rival Dillian Whyte (25-1, 18 KO's) in a rematch on April 13 at Wembley Stadium. However, both sides could not agree on the financial terms. Whyte even told the media last month that the offer he had received was "ridiculous." That was when Eddie Hearn, Joshua's promoter, began the quest to find another opponent for Joshua, and Miller was the perfect fit. Joshua was ringside for the Canelo Alvarez-Rocky Fielding fight, where Canelo scored a third-round KO to win a secondary world title at 168-pounds before a partisan crowd of 20,112, in a bout that Hearn co-promoted. After that, it was rumored in boxing circles that Joshua could eventually make his U.S. debut. Furthermore, it added fuel to the notion that a fight between Joshua and WBC titlist Deontay Wilder (40-0-1, 39 KO's), could finally happen sooner than expected -- in the United States perhaps -- in what is probably the most anticipated megafight in boxing today. Wilder will have to get past Tyson Fury in a rematch before that happens. They fought to a controversial draw in a scintillating affair last December, and the sequel is likely to take place in April or May at Barclays Center in Brooklyn. If Joshua and Wilder are both triumphant in their fights, a fall showdown between two of the most explosive heavyweights in recent memory, could be inevitable. With Joshua facing a top challenger, DAZN executives hope to reel in more subscribers one month after Canelo, who signed a record $365 million deal with the new streaming service last September, faces Daniel Jacobs in a middleweight world title unification fight on May 4 at T-Mobile Arena in Las Vegas.